SkaBretta hold their Christmas Party at Dartford Social Club for the 3rd year running. 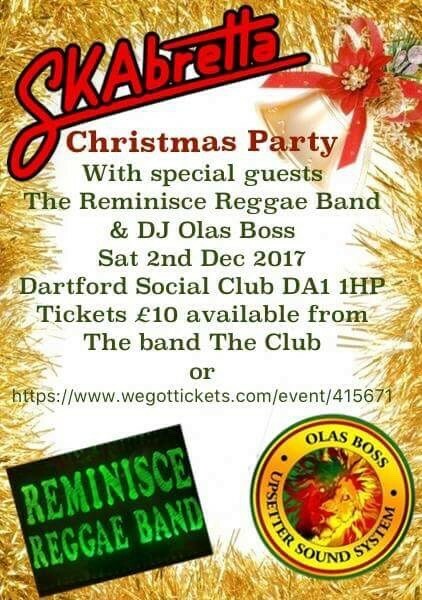 This year, joining SkaBretta on stage is The Reminisce Reggae Band with Internationally acclaimed OLAS BOSS spinning the vinyl before, during & after. Tickets are £10 & available from behind the bar. Don’t miss what will be another fantastic night.